After living in South Africa for 23 years it's odd that Paul discovered diving in the cold waters of Southern England. It is this kind of behaviour that defines Paul and his passion for doing things differently. Within months of learning to dive he had his own centre in London and rapidly progressed to Course Director before finding his passion for technical diving. Paul is an avid wreck, cave, sidemount and rebreather diver. Paul has worked as an Instructor and Instructor Trainer for PADI, IANTD, TDI, SSI and now RAID to name but a few. In 2007, he decided to concentrate purely on technical diver training and expeditions, and Diving Matrix Tec Lab was born. Tec Lab is innovative in its design and philosophy and sets the benchmark for advanced diver Training. 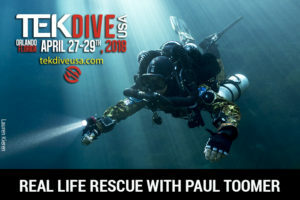 Paul is co-owner at RAID International training agency and holds the position of Director of Diver Training Prior to this, Paul held the position of Director of Technical Training for SSI (Scuba Schools International). Paul has dived caves and wrecks all over the world and also safely planned and executed many sub 100 metre ocean dives with a maximum depth of 150 metres. He is qualified on multiple rebreathers including – Sub-Gravity, xCCR, Inspiration, Evolution, Sentinel, JJ, Prism 2, Hollis explorer and the Poseidon MKVI. Paul has participated in multiple expeditions including the HMS Hampshire and Vanguard in Scapa Flow, Amphora wrecks in Naples and Gozo and most recently, exploratory dives on the submarine HMS Olympus in Malta. Paul regularly contributes to various dive magazines including Submerged, Diver, Sport Diver and Tanked Up. Hehas worked with Film and TV Companies as a diver, supplier and advisor. 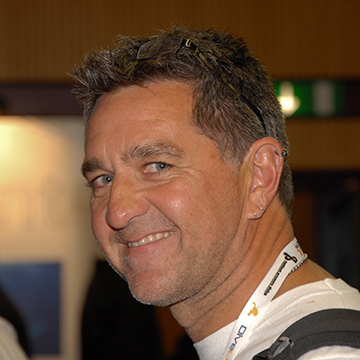 He has given many diving related presentations including RAID, SSI and PADI Member events, DEMA, OZTek, EuroTek, TekCamp, the British Scuba Industry Trade Association, the London International Dive Show, Hollis/Oceanic Dealer Seminar and now TEKDiveUSA. A little boy called Sebastian, motorcycles, tattoos and playing drums are the other major influence in Paul's life.